Hence, always before starting and after completing the Laxmi Sadhna pray to Lord Narayan and chant the Mantra Om Namo Narayanaya 108 times. The second important point to remember is to offer water in the Brahma Muharat to Peepal Tree during the Laxmi Sadhna days. 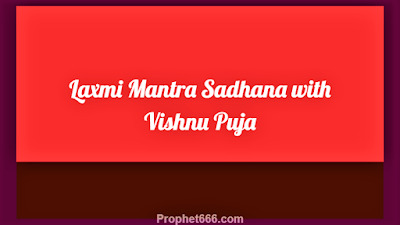 1) Start the Laxmi Sadhna from a Shukla Paksh Wednesday or Friday. 2) Use Red Chandan Mala to count the number of Mantra Chants. 3) Do normal Puja of Maa Laxmi and Lord Narayan. 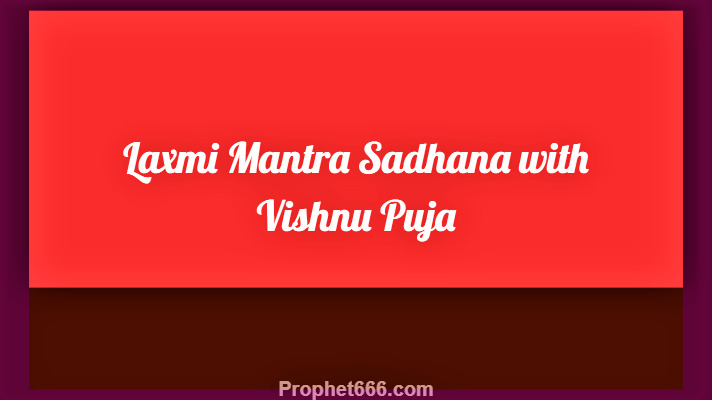 Before starting and after completing the Laxmi Sadhna chant the Mantra – Om Namo Narayanaya 108 times and if possible read the Vishnu Sahasranam 1 time. What is d mantra to hypnotize animals?